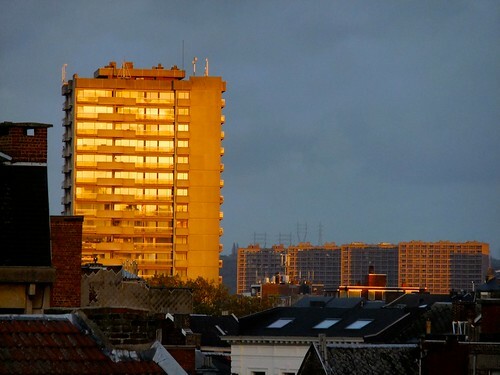 The setting sun lights up apartment blocks from the 50s and 60s, giving the impression that they float on top of the roofs of more traditional buildings. Oh, how I love that golden light. It transforms everything it touches into treasure. Fantastic light and great contrast to the darker buildings below!